AMMONNEWS - Chief of the Civil Aviation Regulatory Commission (CARC), Haitham Mesto, Monday reiterated Jordan's rejection of Israel's unilateral move to open and operate an airport in its current location in the south, unless it meets international criteria and the Kingdom's interests. 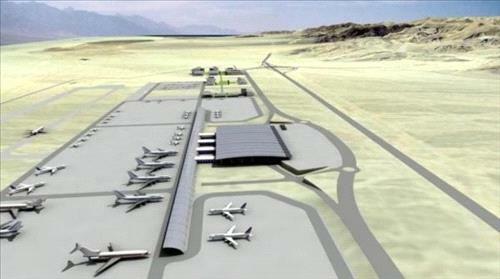 Mesto said that Jordan's rejection comes as the airport, near the southern city of Eilat, is in breach of international criteria regarding the respect of the sovereignty of the space and territory of other countries when operating the facility. Israel must honor the 1944 Chicago Convention on aviation, which was signed by 192 countries, including Jordan and Israel, which is binding to all the state signatories, he added. He said that the government, represented by CARC as the concerned body, has informed the International Civil Aviation Organization (ICAO) of the kingdom's utter rejection of this violation, stressing that all the necessary measures be taken to ensure Israel's compliance with the international criteria. The CARC also contacted the Israeli Civil Aviation Authority, and had informed them of the necessity not to unilaterally take the decision of operating the airport until all pending issues had been settled under "the international umbrella". Mesto stressed that the government reserves all options to defend and protect Jordanian interests, adding that the Kingdom is following up on the issue with the ICAO to find a solution in accordance with international laws and criteria.